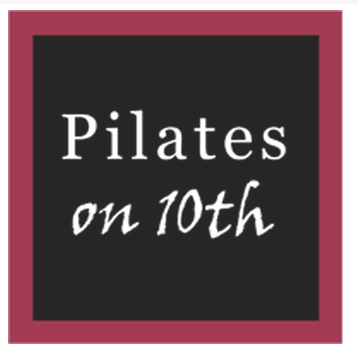 Start taking classes at Pilates on 10th and other studios! Take your workout to the next level! In our Intermediate class the exercises will become slightly more complicated and require more skill, strength and balance. This class is designed for the healthy client or for those who are ready to step it up. If you’re not sure about your level, ask an instructor. As always, individualized attention is given to each client and your instructor will be close at hand to assist you in any way you need. There are no upcoming “Reformer (Advanced Tone)” classes on this day. New clients please arrive with plenty of time to get settled, fill out any necessary paperwork, and to get any questions answered before class. We suggest 15 minutes! Located snuggly near the Roanoke I-5 exits, we are on the corner of 10th Ave E and Miller St of North Capitol Hill. There is available lot parking behind the building, off Miller Street, as well as street parking nearby. Public transportation is also a breeze, with a 49 bus stop directly in front of the studio! Perfect class to build strength and awareness!! Great workout. Crystals classes are always challenging and effective! Such a great class! So helpful/complimentary to all other types of exercise. Nancy is so encouraging and knowledgeable! Nancy is fantastic. Cannot recommend her class enough! Such a great class to pair with all other types of fitness. Nancy is great at bringing balance back into your body, healing injury and correcting bad habits. Great instruction, very hands on. Only 3 in the class. Pilates on 10th is in the top 3 of studios in the city in my opinion. Alison is one of their best!